This despite two FCC commissioners saying things like the FCC’s statement is “ridiculous and irresponsible,” and “biased, flawed, and woefully incomplete.” The politicization of what traditionally is an objective report, is one of the many problems that the people of the United States are facing in regard to Internet availability. Unfortunately, this has been an ongoing problem for the better part of two decades. Let’s move away from politics to look at some of the ways that the country is making out with Internet access. An Internet Service Provider (ISP) is a company that, well...provides Internet service and support to customers. ISPs don’t have to be huge media conglomerates, but many of them are, and while they mostly provide in-home service, and “business-class” service, they do a lot more than that: they provide an essential service to everyone that needs it. It doesn’t seem like there is any difference in the two, of course, but there is. It is this qualification that allowed FCC chairman Ajit Pai to effectively take down the net neutrality laws in 2017. It was all in the name to allow ISPs to be looked on as less of a utility (which they most certainly are) and more as a service; thus, paving the way for infrastructure investment. So, in layman’s terms, the ISPs needed incentive to build access to Internet where it wasn’t, and have been given the run of the Internet to make this happen. That would be great if ISPs, especially the major ones, had a strategy in place to make these infrastructure investments, but it seems, at least on the surface, that the only thing they did have a strategy for is to reap the benefits of the dissolution of the net neutrality laws. No matter how you slice it, the ISPs that distribute broadband access in the U.S. (and in the U.K. for that matter) aren’t doing a great job at serving their customers. As of May 2018, the United States ranks 47th in the world in average bandwidth speed, while the U.K. ranks 51st. At the same time, only four nations’ businesses pay more for high-speed Internet than businesses do in the United States (at $60.14 per month). At least in the U.K. the average price for high-speed Internet is under $37 per month ($36.83). If those figures weren’t bad enough, before the newest era of deregulations, ISPs have been accused of pocketing hundreds of millions of dollars for fiber optic infrastructure that never materialized. Skeptics say that most of that was tax subsidy and it was utilized in creating many of the wireless networks that we all utilized today. So, whether or not the ISPs did, in fact, invest that money back into infrastructure or not, many people would argue that it was not what that money was appropriated for and that it should be a giant scandal. Since it wasn’t, it’s fair to assume that the truth is somewhere in the middle as many of these investments were made before the great recession at the end of the last decade. Besides a lot of that capital would have been going to state utility telecommunications contractors and not the ISPs themselves. If ISPs need public assistance to lay this infrastructure it stands to reason that the public should get some of the benefits. Of course, this isn’t the case and it just makes the ISPs positioning in this case seem awful questionable. For those who don’t put the onus on the ISPs for a lack of infrastructure investment, there is always the same argument, it’s not the companies, it’s not the Feds, it is the local municipalities that are not working with the powers that be to get people Internet. This is where the situation gets really strange. Over the past 15 years or so municipalities have begun providing Internet access to themselves and their citizens. This is normally because they were tired of paying the ludicrous rates ISPs had demanded; or, more likely, where ISPs have failed to build high-speed infrastructure. Cities like Philadelphia, Pennsylvania and Santa Monica, California have laid infrastructure for government and business use. This seems like a decent enough investment for public money as it has enough recurring income generated to pay for the system and the maintenance for it. As more cities began to jump on board, there suddenly was dissent from legislative bodies. As the dissent grew louder, laws started to pop up all around the U.S. limiting, or in some cases prohibiting municipalities from building broadband networks. As of the beginning of this calendar year 18 states have outlawed municipalities from investing in broadband infrastructure, effectively limiting their ability to provide high-speed Internet to their constituencies. If you are thinking, “why would they do that?” You don’t have to look much further than the enormous contributions by the telecom lobby, led by telecom heavyweights Verizon, Spectrum, and Comcast. Effectively, the ISPs, whose purpose is to provide broadband services to customers, are paying legislators to eliminate their competition. 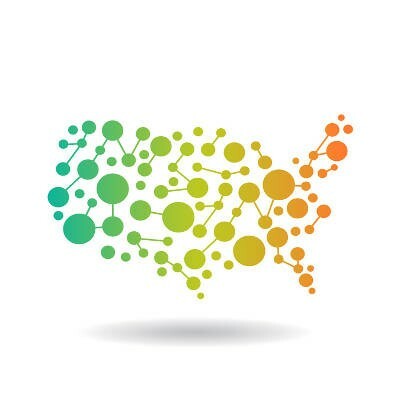 Some of the states in the study have a lot of areas where there are two (or less) options for broadband Internet service, while two of the states have millions of people who don’t have access to ANY broadband Internet, which up until the net neutrality law kicked in on June 11, 2018 was regulated as a Title II utility. Imagine living in a place where you had no access to electricity or running water? According to the Federal Communications Commission, 39% of rural Americans don’t have access to the Internet, and the ones that do, pay more for worse services. So, while almost a quarter of urban residents simply can’t afford broadband Internet service, at least they have the option to get it if they did. Now there are some remote places in the country to be sure, and some people that live in those places don’t necessarily care if they have access to high-speed Internet anyway. The basic problem is that broadband access hasn’t reached big stretches of rural America, so the major solution would be to lay the infrastructure necessary to get them the high-speed Internet they need. That takes capital, and the current FCC hierarchy has promised that with the repeal of the net neutrality laws there will be a boom in network infrastructure investment. With market forces working to dictate investment strategies, rather than heavy-handed and expensive regulatory ones, time will only tell if this will become a reality. Another solution to the problem could be the proliferation of wireless Internet services that meet FCC standards for “high-speed”. The truth is that depending on huge publicly-traded telecoms to invest in places where it may be decades before they can see any type of return on investment lacks incentive, so only time will tell if the people who need access to high-speed Internet will get it. If your business could use faster and more reliable Internet service, the IT professionals at Washington Works may be able to help. Contact us today at 301-571-5040 for more information.